Very excited to have this piece of fan art from my friend and big supporter of Adorable Crap Lunarbaboon. He took time out from his busy schedule to make this fantastic work and it is greatly appreciated. 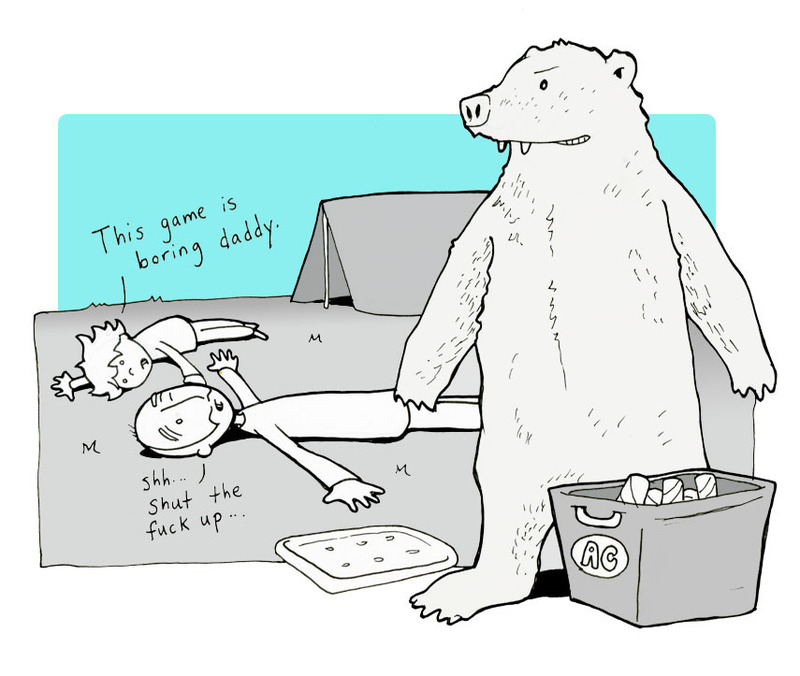 His comic, also called Lunarbaboon, is one of the best out there, with outstanding writing and artwork. Notice I said “comic” and not “webcomic”. In my opinion it’s as good as anything you’ll find in your Sunday paper. But don’t take my word for it, click on the link and find out for yourself. Chances are you’ll find yourself eagerly awaiting his next update like I do. You can also follow him on Twitter: @Lunarbaboon and watch him match wits with idiots like me. For updates and extras, like his Facebook page.